SEO stands for “Search Engine Optimisation”. It is the name given to what you do to improve where you appear in search engine rankings. In search results Google displays pages it considers relevant and authoritative. One of the ways it does this is by the use of key words and also by analysing the number and quality of links from other web pages and social media channels. Keywords are the words and phrases that your potential customers type into Google, to find what websites that match what are looking for. I know it might sound complicated but, In simple terms your website has the potential to rank higher in Google searches, so your customers can find you before they find your competition! 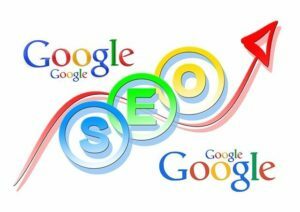 Why should I worry about SEO for my business? I you’re not worried about SEO, then you can be assured that your competitor is! The first rule of SEO is to think about what your customers might be searching for on Google and make sure those keywords appear on your webpage. This increases the likelihood of reaching those customers. Creating fantastic, useful content that uses words and phrases used by your customers when they search for your products and services online. 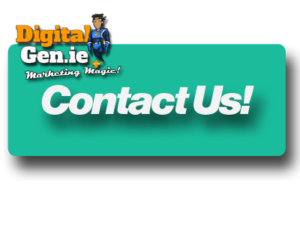 We can make it easy for your customers to share and link to your website, and other social media profiles. Just ask! Click on the button and make contact with us.